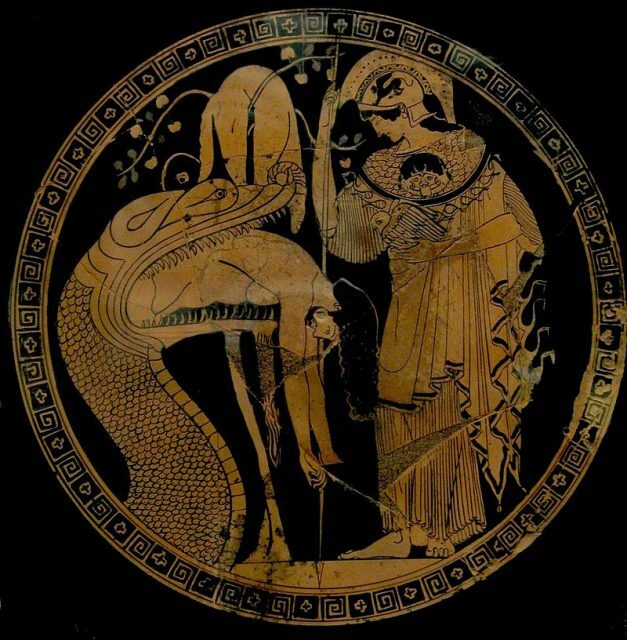 From ancient Greek myths to Game of Thrones, the legend of the dragon is one of the most enduring and romanticized throughout history. It has been traced back as far as 4000 BC and exists in all parts of the world. 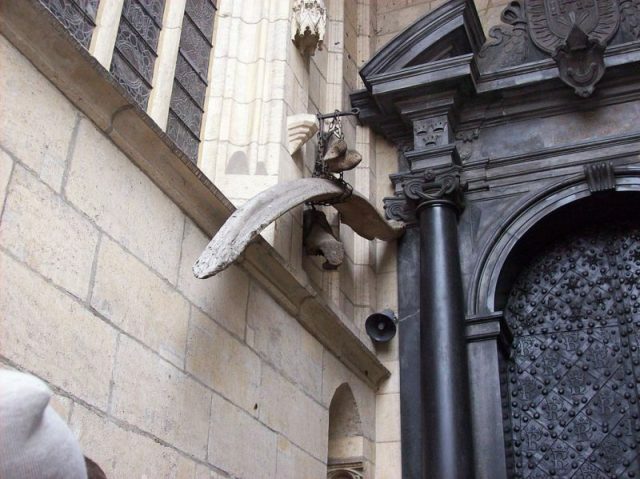 In and around Europe dragons are viewed mostly as monsters of evil intent. In ancient Rome, the army used dragons as symbols of strength. 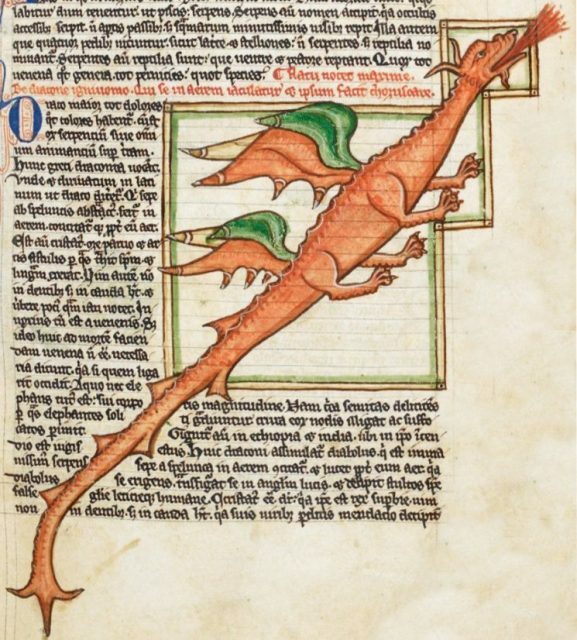 The Oxford English Dictionary explains the etymology of the word dragon, which it says entered the English lexicon in around 1220 and was used in English versions of the Bible from the early 14th century. 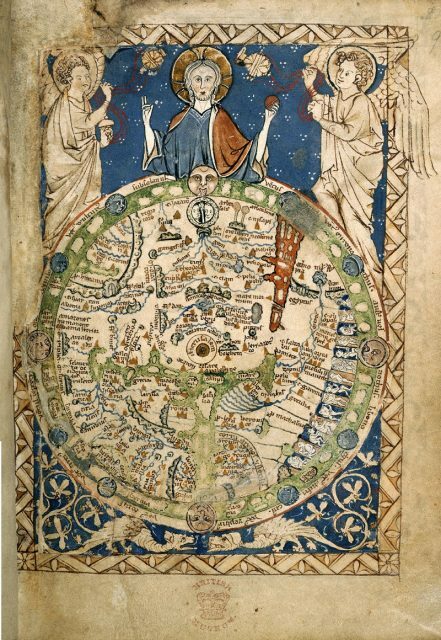 Dragon derives from Old French, the language used by nobles and law courts following the Norman conquest of 1066. This in turn stems from the Latin draconem or draco meaning “big serpent,” which was derived from ancient Greek δράκων (drakon). 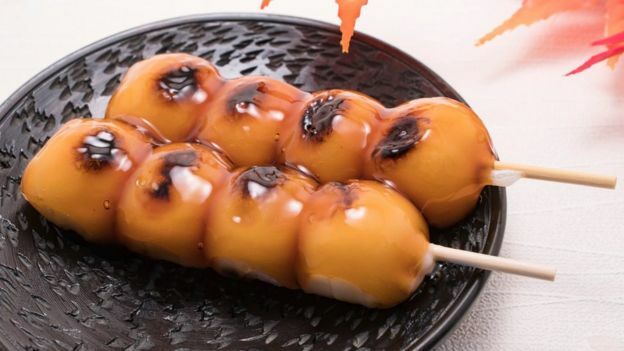 In Greek mythology, the Hesperian Dragon named Ladon was a hundred-headed serpent that guarded the golden apples in the garden of the Hesperides. 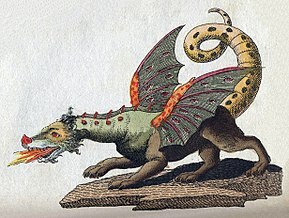 Historically, European dragons were viewed as being evil, jealous, and greedy hoarders of treasure. In the stories, they were generally treated as violent monsters who must be slain by heroes and saints. European dragons could have four legs, two legs, or none, and often had wings. In Asia, and especially China, the view of these creatures was very different. Dragons were thought to live under the ocean in the winter, arising in the spring with a clap of thunder to bring the rain needed for their crops, according to the American Museum of Natural History. They breathed clouds and moved the seasons. 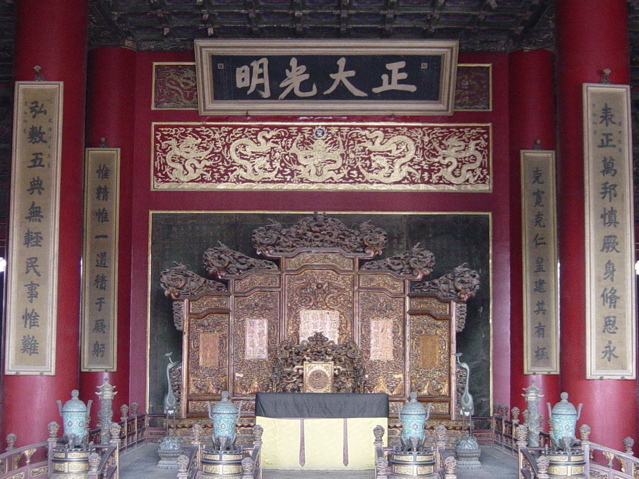 The dragon was the symbol of the Chinese Emperor, and the Imperial throne was called the Dragon Throne. 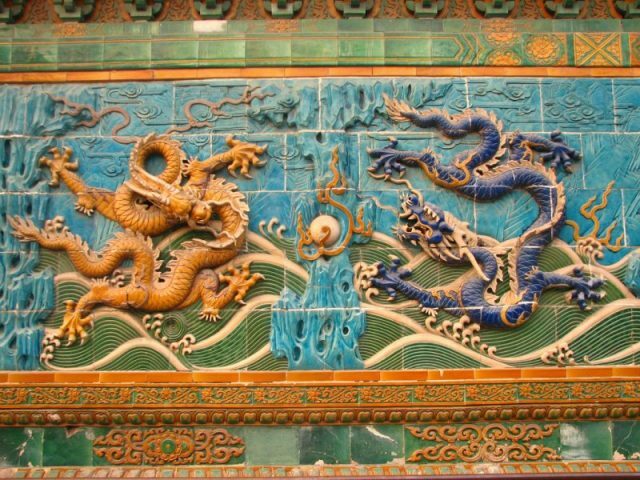 Known as the Dragon, the emperor ruled in harmony, and brought peace and prosperity to all. 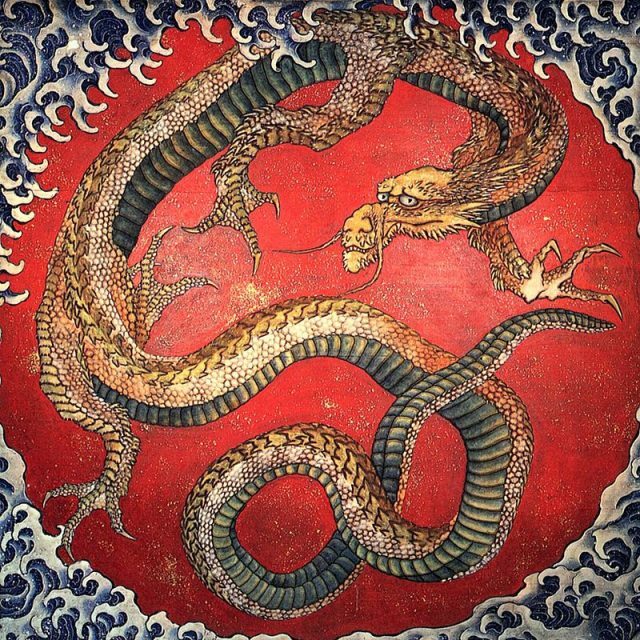 Chinese dragons are depicted as being more serpent-like, with long, snaking bodies and usually had four legs. They are generally seen as wingless. How people view them and what they believe about them varies widely, but the idea is too widespread not to think there are some common roots. 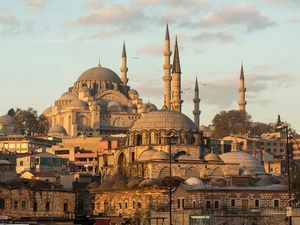 What made people from cultures that may have never met all come up with the idea of dragons? There are several theories about what creatures could have been the source of the dragon myths, any or all of them may be true. Ancient Origins discusses a number of potential roots. The first one is crocodiles. 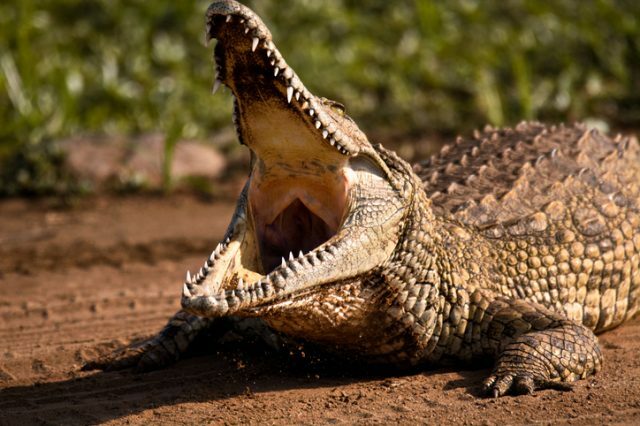 Saltwater and Nile crocodiles are the two largest living reptiles on earth today. Currently, saltwater crocodiles live in the eastern Indian Ocean region, and Nile crocs in the rivers, marshes, and lakes of Sub-Saharan Africa. But 1,000 years they had a much larger habitat range, and could have been encountered by people living in Greece, Spain, and Southern Italy. Nile crocodiles can grow to 20 feet in length, and have the ability to lift much of their bodies off the ground. This may be a hint about why European dragons are often described as rearing up. Many archaeologists believe that ancient people envisioned dragons when they found the fossils of certain sorts of dinosaurs, specifically, the types that had very long necks. Having no explanation for the lengthy fossils, they would have imagined a beast that seemed to fit what they were seeing. There is evidence to suggest that there were discoveries of dinosaur fossils being uncovered in China as early as the 4th century BC. Fossils belonging to flying dinosaurs, such as pterodactyl or pteranodons, could very well be part of why some cultures envision dragons as having wings. Another, similar, theory is that people imagined dragons when the skeletons of whales washed on shore near early coastal dwellings. Because early people didn’t have suitable sailing and navigation technology, they would most likely only have seen the immense whales from a distance when the creatures were living. 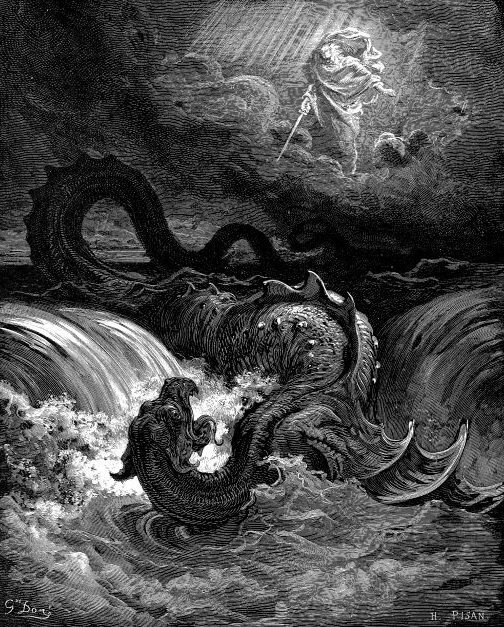 This could certainly be the root of sailor’s fear of “dragons” in the waters, as well as the ocean-dwelling Asian view. This could also be one of the reasons that some dragons are pictured as having wings. Snakes are also thought to be a basis for the dragon myth. Although even very large snakes are much smaller than dragons are said to be, humankind has a deeply embedded instinct to fear them. 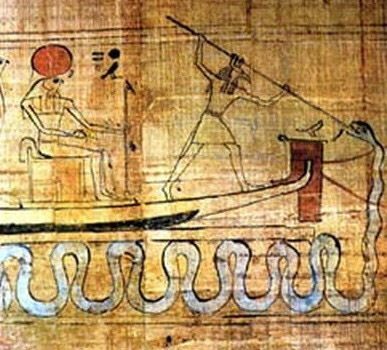 In ancient Egypt, for example, Apep was a deity known as the Serpent of the Nile. He was viewed as the lord of Chaos, and opposed to light and truth. 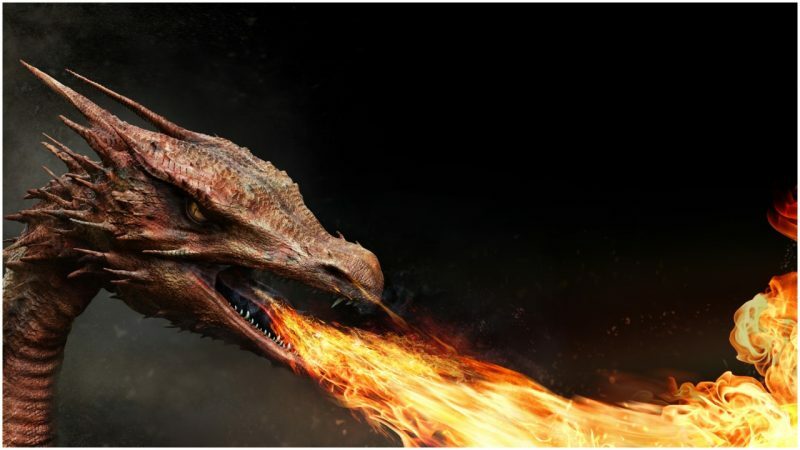 Each of these theories show some echo of what we think about when we think of dragons. All of them together show a more complete picture of the huge beasts that feature in so many stories and myths. Image copyright JAXA ET AL. Dr Makoto Yoshikawa, Hayabusa 2’s mission manager, talked about the plan now that the spacecraft had arrived at its destination. “At first, we will study very carefully the surface features. Then we will select where to touch down. Touchdown means we get the surface material,” he told me. A copper projectile, or “impactor” will separate from the spacecraft, floating down to the surface of the asteroid. Once Hayabusa 2 is safely out of the way, an explosive charge will detonate, driving the projectile into the surface. Scientists study asteroids to gain insights into the origins and evolution of our cosmic neighbourhood, the Solar System. It’s also thought they may contain chemical compounds that could have been important for kick-starting life on Earth. They contain water, organic (carbon-rich) compounds and precious metals. The last of those has tempted several companies to look into the feasibility of asteroid mining. Dr Yoshikawa, who is an associate professor at Japan’s Institute of Space and Astronautical Science (ISAS), said Ryugu’s shape was unexpected. He said asteroids with this general shape tended to be fast-rotating, completing one revolution every three or four hours. 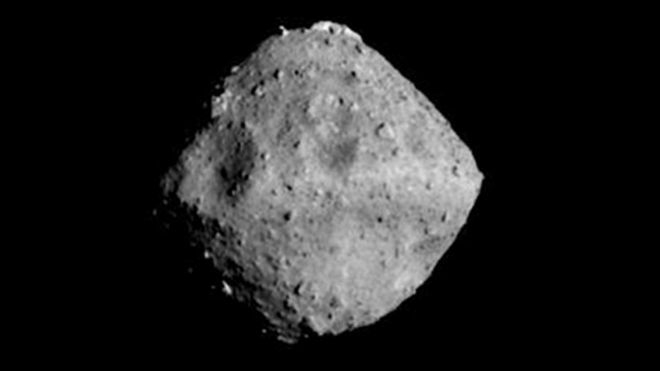 But Ryugu’s spin period is relatively long – about 7.5 hours. 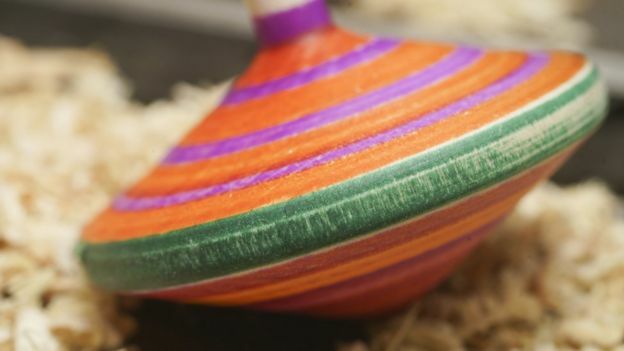 “Many scientists in our project think that in the past the spin period was very short – it rotated very quickly – and the spin period has slowed down. We don’t know why it slowed down, but this is a very interesting topic,” he told BBC News. Hayabusa 2 will spend about a year and a half surveying the 900m-wide space rock, which is about 290 million km (180 million miles) from Earth. 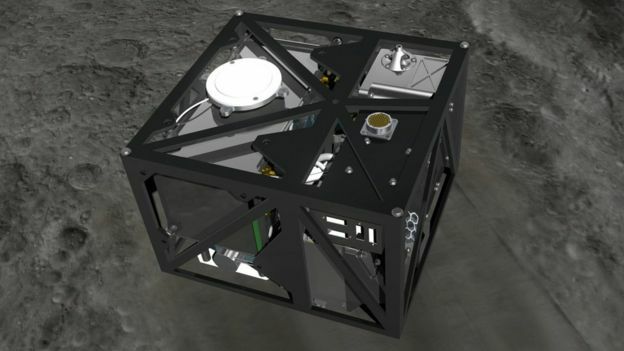 During this time, it will aim to deploy several landing craft to the surface, including small rovers and a German-built instrument package called Mascot (Mobile Asteroid Surface Scout). Ryugu is a so-called C-type asteroid, a kind that is thought to be relatively primitive. This means it may be rich in organic and hydrated minerals (those combined with water). Studying what Ryugu is made from could provide insights into the molecular mix that contributed to the origin of life on Earth. The surface of the asteroid is likely to have been weathered – altered by aeons of exposure to the harsh environment of space. That’s why Hayabusa 2’s scientists want to dig down for as fresh a sample as possible. The onboard Lidar (light detection and ranging) instrument is used partly as a navigation sensor for rendezvous, approach, and touchdown. It illuminates the target with pulsed laser light to measure variable distances between the two objects. On Tuesday, scientists successfully used the Lidar to measure the distance from Hayabusa to the asteroid for the first time. The mission will depart from Ryugu in December 2019 with the intention of returning to Earth with the asteroid samples in 2020. 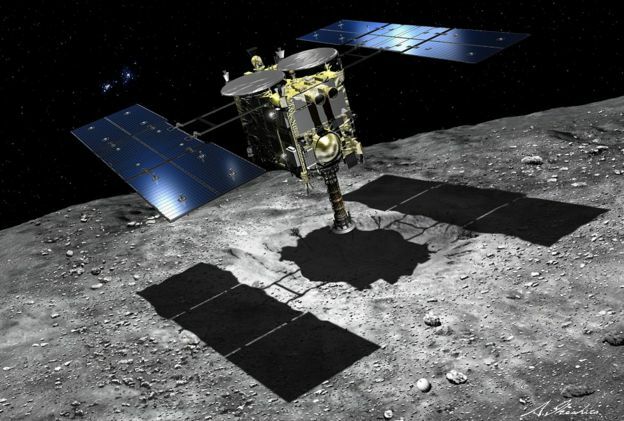 The first Hayabusa spacecraft was launched in 2003 and reached the asteroid Itokawa in 2005. Despite being hit by a series of mishaps, it returned to Earth in 2010 with a small amount of material from the asteroid. An American asteroid sample return mission, Osiris-Rex, will rendezvous with the object 101955 Bennu in August.